Perfect for commercial applications, or a lifetime at the cottage! 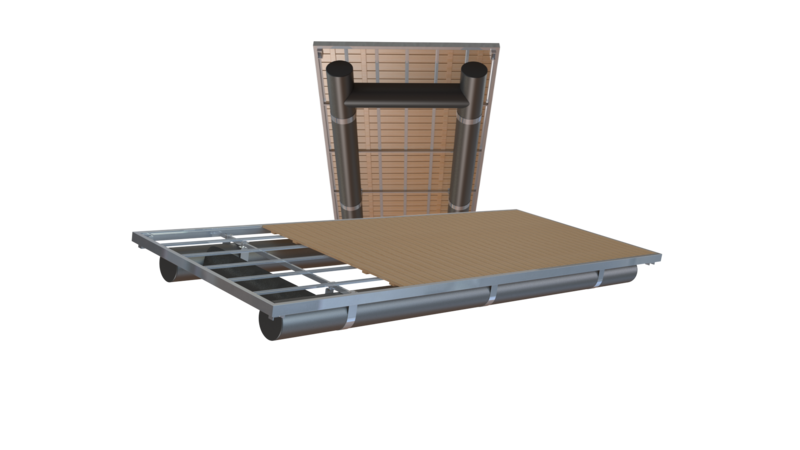 The Titan Series Floating Dock combines the best features of all our docking systems into a single, long lasting, high performance dock. Your choice of Wood or PVC Decking sits above a durable aluminum frame. 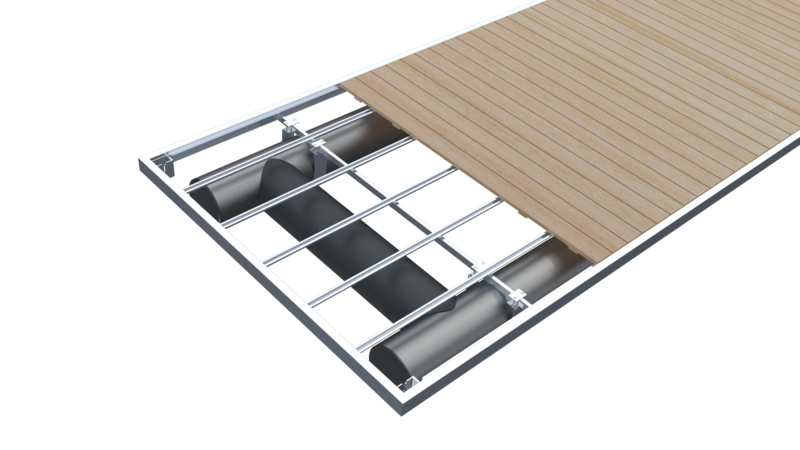 Our rugged reinforced pontoon system ensures the dock stays safely above the water and waves. Like all On the Water Designs docks, our Titan Series Pontoon Floating Dock is fabricated by skilled welders and carpenters to ensure your dock lasts a lifetime. Our aluminum frames come complete with a 10 year warranty and our reinforced pontoons carry a warranty that is more than a lifetime – 100 years! The 100% unique feature of the Titan Series is our welded aluminum upper frame. 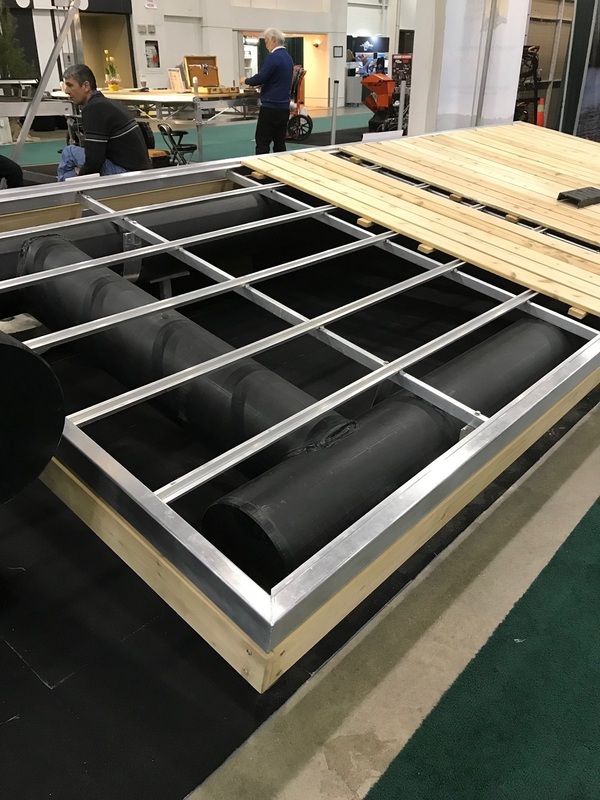 During development, we asked ourselves “why match a pontoon float with a 100 year warranty with a wood frame that might last 15 years”? Our aluminum frame answers the need for a low maintenance, long lasting docking solution. This frame was modeled after our proven Designer Series frame but beefed up with thicker, heavier supports to ensure ideal performance in rough conditions. At On the Water Designs, we warranty our aluminum dock frames for a full 10 Years, and 100 Years on our Pontoon Floats. Our warranty is NOT prorated meaning you aren’t responsible for 10% of the cost in year 1, 20% in year 2 etc. like some of our competitors. With On the Water Designs, you have the same great coverage in the last year as you did the day you bought the dock. We are able to offer the best warranty in the business because most of our clients never need to use it. To us, that is the mark of a great quality dock system.